Mrs. S. Langdon held the position of the principal from 1879 to 1880. Though the initial enrollment was limited to 11 students, during her tenure, a steady rising of the students’ population could be seen. The period 1880-1883 marked the stewardship of a new Principal, Ms. E.S. Hay. When she assumed the duties there was an average attendance of 74 students in the school. In 1883 Ms. Young was appointed to succeed Ms. E.S.Hay and she held the prestigious position for 5 years. Ms. M.R. Smith served the school loyally for two years. 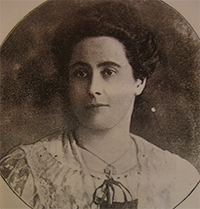 In 1890 Miss Lawrance took over as principal and served for the whole decade, heavily engaged in the development drive. 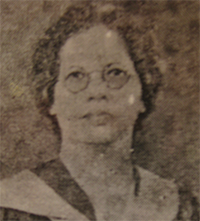 It was during her office that an outstanding student of the school, Miss Pricilla Marshall, became the first lady graduate of the island. 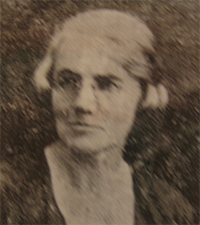 Miss F. Sansom took up duties as the principal rendering a great service and making a period of revolutionary transformation, when the school grew to an institution of great traditions and values. In 1901, She took the initiative of establishing the High School Sunday Choir and in 1919, the Old Girl’s Association of the school was formed. In1917, under the leadership of Miss J. Calverly the Girl’s Guide Company was introduced which was followed by the establishment of the Little Friend’s Movement (Brownie Company) in 1918. She pioneered the Ranger Company in 1921. Miss Gladys Vanderstraaten became the first Girl Guide leader of the country, embellishing the school’s hat with another feather. Miss. J. Green held the position of the acting principal from 1920 to 1921, with an invaluable service for the upliftment of the Girl’s Guide Movement. 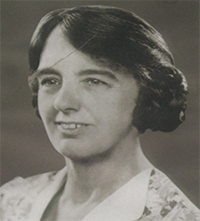 Mrs. C.M Gordon (nee Mallet) was in charge of the school from 1921 to 1934, which proceeded to launch many “firsts” for the island – the school uniform with the tie, the house system, school crest and the prefect system. It was during her office, that the school song, school hymn, motto, annual sports meet, netball, inter house games and prize giving were introduced to the school, paving the way for the students to achieve excellence being among the best. Ms. E.M. Shire steered the school with a great sense of responsibility for one year. Miss. R. Allen piloted the school with much vigor during the time of World War II. She conducted the Air Rain Precaution Practices in the school garden. Moreover, she introduced the University Entrance Examination in the school. And she makes a mark in history being the last Methodist principal. 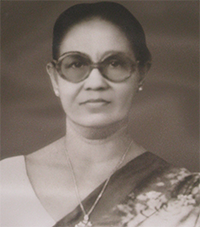 In 1947, Miss Grace Paul took over the duties as the first Sri Lankan principal in the school’s history. It was during her era that national languages were introduced as the media of education. She initiated Science in the school curriculum in order to prepare students to enter medical, science and engineering faculties of the university. In 1955, Mrs Erica La Brooy took over the reins of the school and the State’s takeover school owned by the Christian Missionaries in 1961 was a major turning point of the school for providing education for the masses of the country. Religion was introduced to the school curriculum as a compulsory subject. 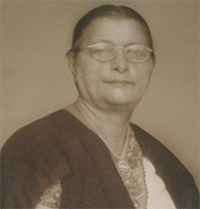 Mrs Hema Jayasinghe is the first Old Girl to become the principal of the school. Reaping the fullest she made it a vibrant era of the school’s history. It was during her reign that religious observances were performed in all the four religions – Buddhism, Christianity, Hindu and Islam. Moreover, she took the initiative of introducing hockey to the school enabling the students to further spread their wings beyond academic sphere. She continued for 29 years in office, steering the unique traditions of Girl's High School a way forward as significant developments in all aspects of the school commenced during her tenure. In 1972, after three years of her service, she abolished the Primary Section. She took the initiative in forming the Hewisi Band, and introducing the vital subjects such as Home Science, and Commerce to the Advanced Level curriculum, creating opportunity for the young learners to study the very essential skills of life. Moreover, she encouraged the saving habit of children with the sponsorship of banking outlet in the school. Furthermore, she took the initiative of establishing the school co – operative shop. She not only developed the physical resources of the school but also took the initiative in establishing the National School Cadet Unit, and the Oriental Orchestra of the school. She led the school with a deep sense of responsibility and a rare spirit of devotion, for a lengthy passage of time till her retirement in 1990. 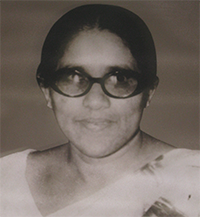 In 1990, Mrs H.M.M.K Amunugama joined the school as the principal preserving the unfaded spirit of the school in its high position in the island. The Colours Eve was introduced during her office. Her great commitment towards upbringing of sports is forever deeply appreciated. It was during the period of Mrs. G.N. Silva, that the dream of re-establishment of the Primary Section was realized, opening the doors for little flowers to bloom in the garden of Girl’s High School. She initiated in providing a well-equipped modern communication system in the school. Mrs G.N Silva rendered a great service to the school by constructing buildings with a well maintained sanitary service for the students of the Primary Section with the sole intention of providing a good health care. Mrs. R.N. Amarasinghe rendered an invaluable service to the school. She took the initiative in installing a new computer room comprising 15 computers. Under her guidance, the school opened “Sisu Udana” bank accounts for students, under the sponsorship of the People’s Bank. The Aesthetic Section of the school produced a “Sama Natya” (Drama of Peace) to highlight the burning critical issues in the society. 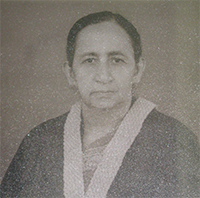 She recognized the student’s hostel and refectory, thus paving the way for teacher – student welfare. The daily dismissal song at the end of the school day was composed, based on her concepts. She was also instrumental in organizing the first ever Girl’s High School Walk, to commemorate the 125th Anniversary of the school. 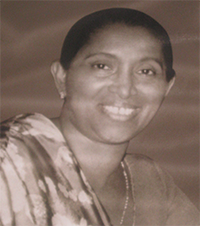 Mrs K.D.S Perera was appointed to the school as the acting principal in 2003. She received the fullest co-operation of the entire school community in organizing the first ever Sports Exhibition and Carnival on the celebration of the 125th Anniversary Prize Giving of the school making a mark in schools history. 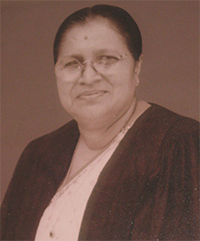 In 2004, Mrs H.M Wataliyadda took over becoming the next principal of the school. She initiated the Senior Cadet Band of Girl’s High School. She also took the responsibility in renovating the school netball pitch with sponsorship of both United Kingdom and the Old Girl’s Association. Shifting the Primary Section from Dowala back to the main school premises, construction of the three storeyed building consisting of 14 classrooms and renovation of the primary grounds were undertaken during her office. She took the initiative in building a well equipped computer laboratory with new technology and provided a high quality computer room for SEMP II CAL. Mrs. H.M. Wataliyadda undertook the complete renovation and refurbishing of the conference hall, the power supply system and the stage, and she decentralized the Library facilities at classroom level and provided books worth Rs. 3.5 million funded by the Asia Foundation. The three day education exhibition ‘ELYSIUM 2005’ was undoubtedly gateway for the practical application carried out along with the participation of 28,000 pupils from schools around Kandy.